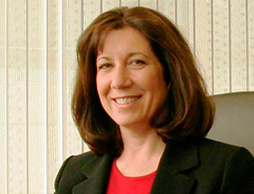 Barbara Leibold leads the firm’s municipal law practice and serves as the City Attorney of the City of Lake Elsinore and the City of Walnut. Barbara has also served as City Attorney of the City of Norco and Assistant City Attorney to the cities of Lancaster and San Juan Capistrano. As special counsel, Barbara has provided legal services to a number of cities in Southern California, including the Cities of Anaheim, Culver City, Fillmore, Garden Grove, Huntington Beach, La Mirada, Long Beach, Ontario, Orange, Placentia, Riverside and Vista. Consistent with that experience, Barbara has broad expertise in matters involving the Brown Act, Political Reform Act, Public Records Act, Planning and Zoning Law, CEQA, Public Contracts Law, Real Property and Relocation Laws, Economic Development and Redevelopment Law and AB X1 26 Dissolution Act requirements, Contract Law, Franchises, Risk Management, Personnel and Election Law. Prior to joining Leibold McClendon & Mann in 1997, Barbara was a partner in the Public Law Group of Stradling Yocca Carlson & Rauth.